I grew up in the suburbs and have never lived in the country, but somehow I love the beauty of old tractors. 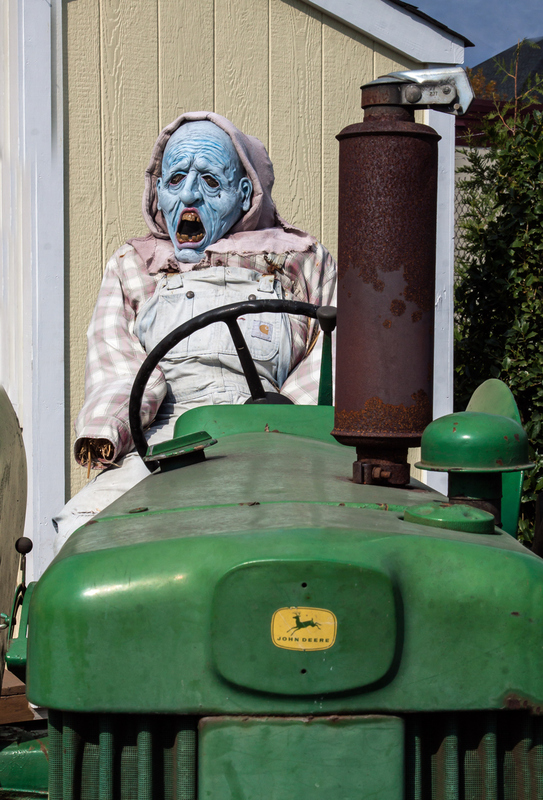 During my recent visit to a local produce center that I have featured the last few day, my eyes were inexorably drawn to the a green tractor and its ghoulish driver. Oh, Deere. The scene was staged at the edge of the property, so it was hard to get a shot that did not include barbed wire and chain link fence. Here are a few shots from different angles to give you an overall view (yes, the driver is wearing overalls) as well as a wide-angle view. 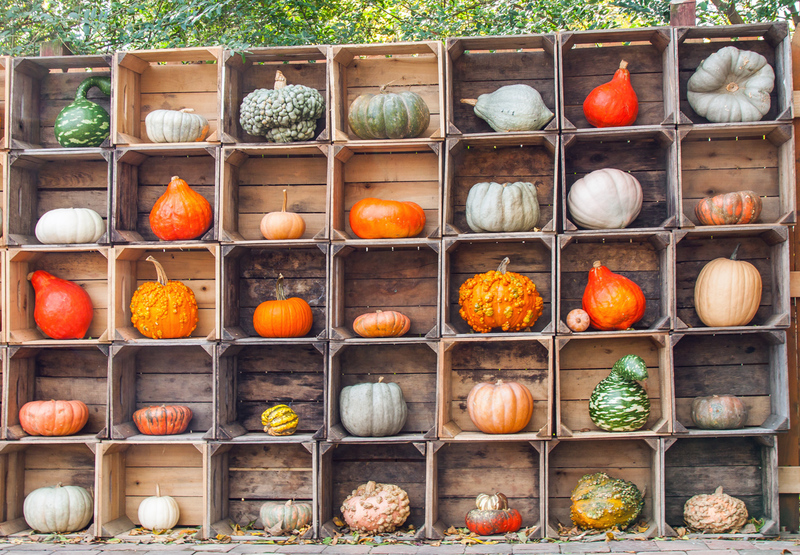 Some very creative people must work at the local pumpkin patch at Nalls Produce Center in Alexandria, Virginia. 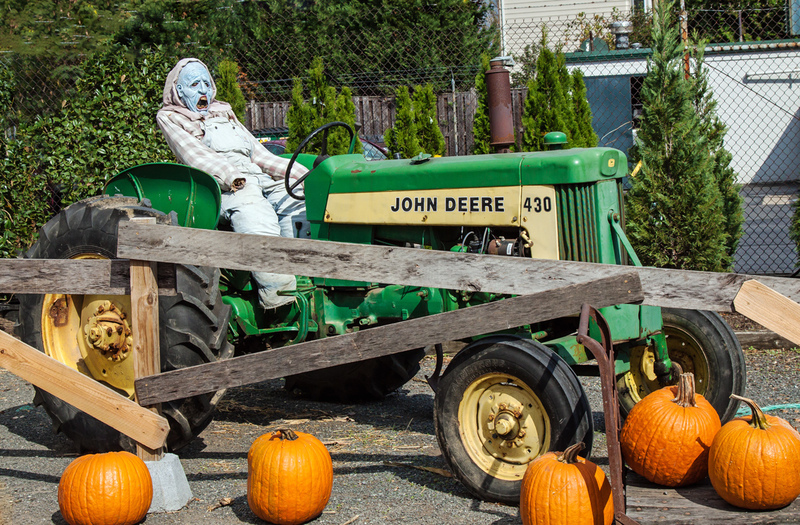 As I wandered about, I encountered numerous mini-scenes celebrating farm life and/or Halloween. 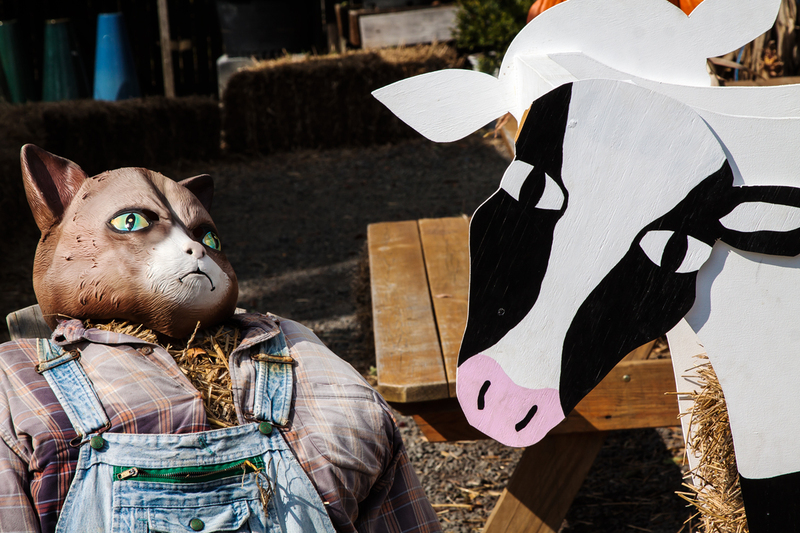 One of my favorites featured a crazed–looking cat in overalls conversing with a cow. 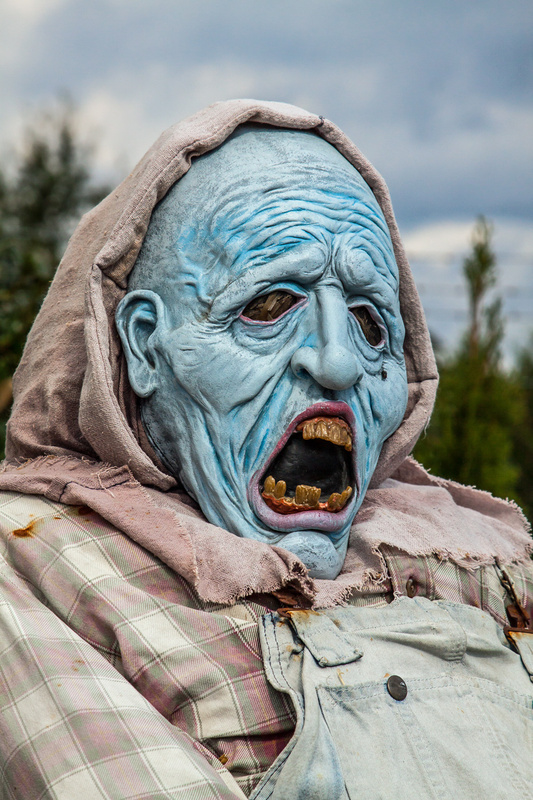 I also really liked the jack-o-lantern made with all natural materials. 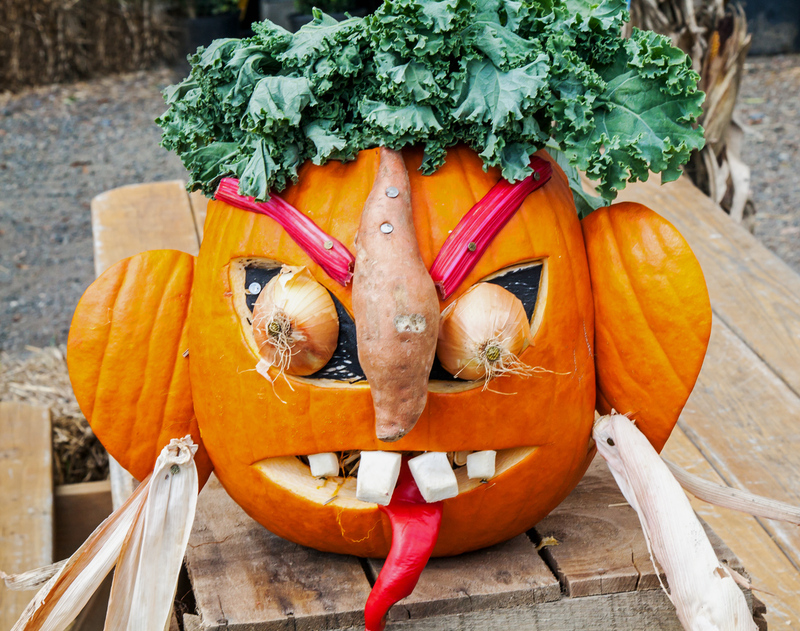 I can’t recall ever before seeing a jack-o-lantern with hair. 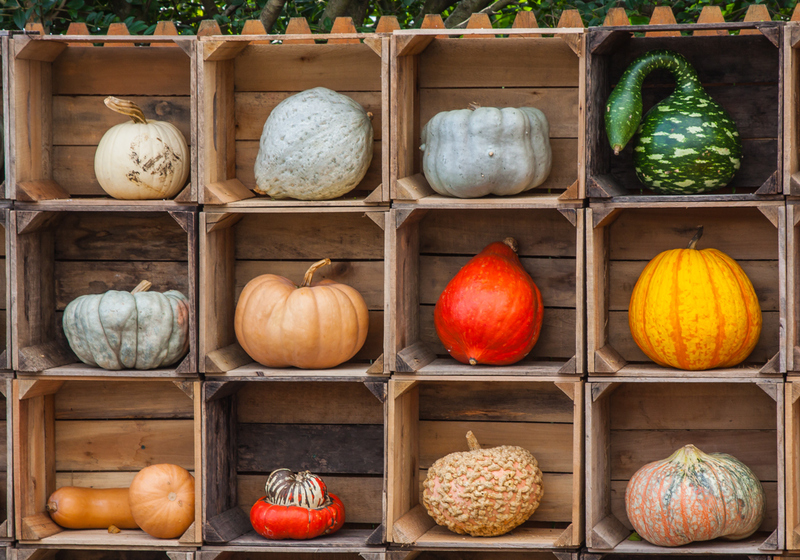 I love the way that the folks at Nalls Produce Center chose to display their wide variety of autumn produce—it is almost like a work of art. It was a challenge to photograph the wall of produce and I never did get the angles quite right. so all my photos were crooked to one degree or another. I thought about trying to photograph individual boxes, but decided to photograph them in multiples of varying numbers. 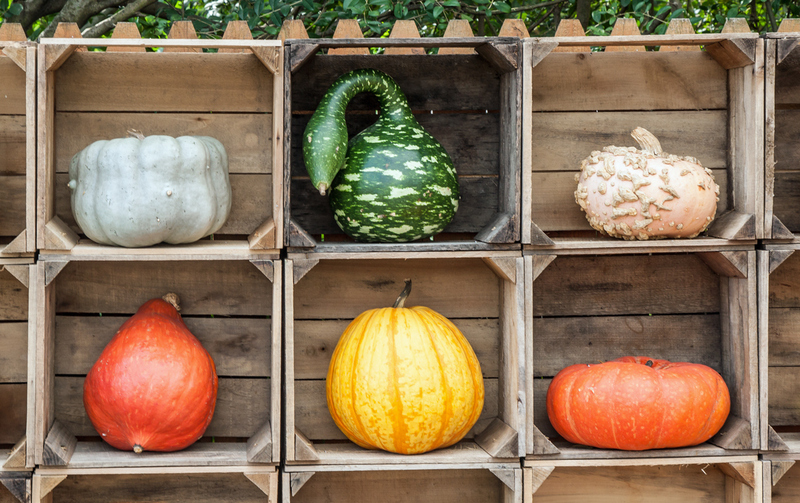 As I look overt the images I continue to marvel at the differences in size, shape, color, and texture of the fruits and vegetables on display. 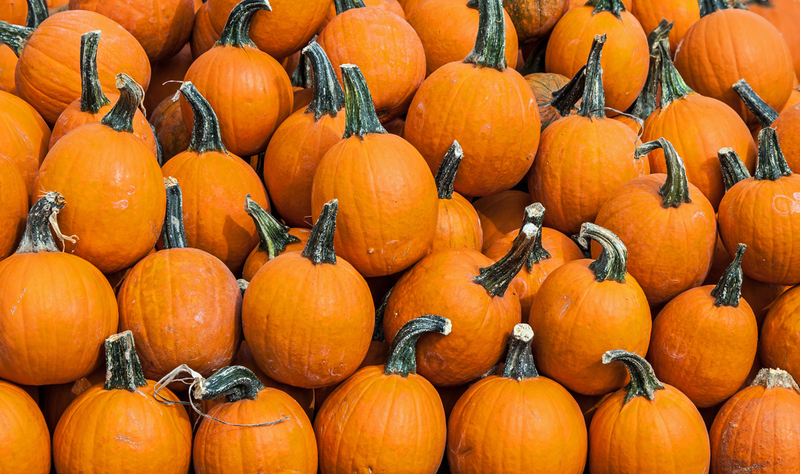 Nothing quite says autumn like a visit to a pumpkin patch. In this case it was a brief excursion to Nalls Produce Center, a nearby establishment that has an amazing assortment of produce and plants. 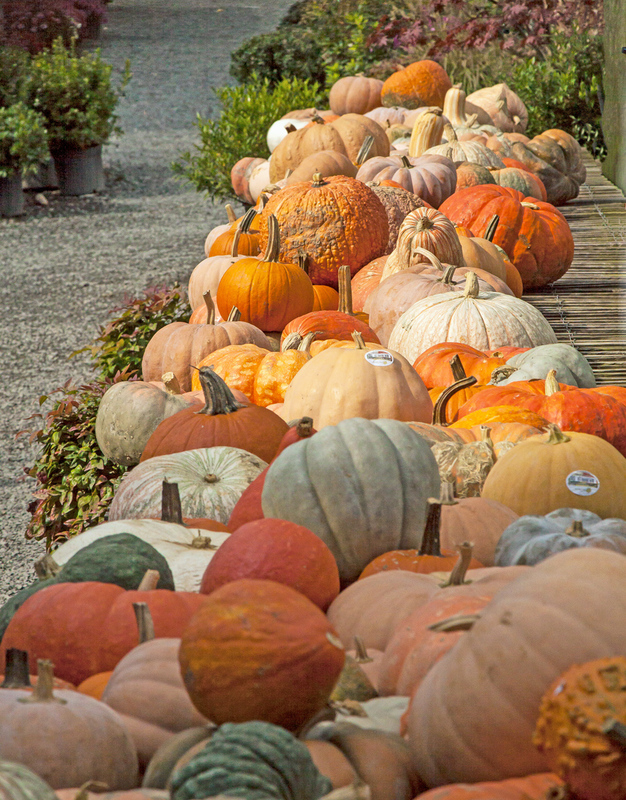 Normally I think of pumpkins as being orange and there are plenty of orange pumpkins there of all shapes and sizes. 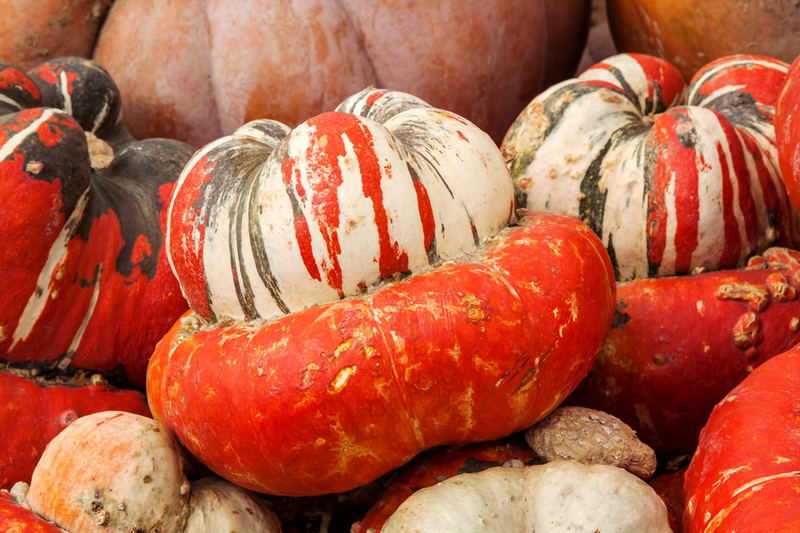 They also have an incredible variety of pumpkins of different colors, including the multi-colored ones in the final photo. They are known by a number of different names including Turk’s Turban and Mexican Hat. I never get tired of watching the Great Blue Herons (Ardea herodias) at Huntley Meadows Park. Quite often they ignore me and focus intently on catching a fish. I marvel at their patience and persistence. During one recent encounter, though, I had eye-to-eye contact with a heron. The heron looked right at me and seemed to be sending a distinct warning message that it was not going to share the small fish that it had just caught. 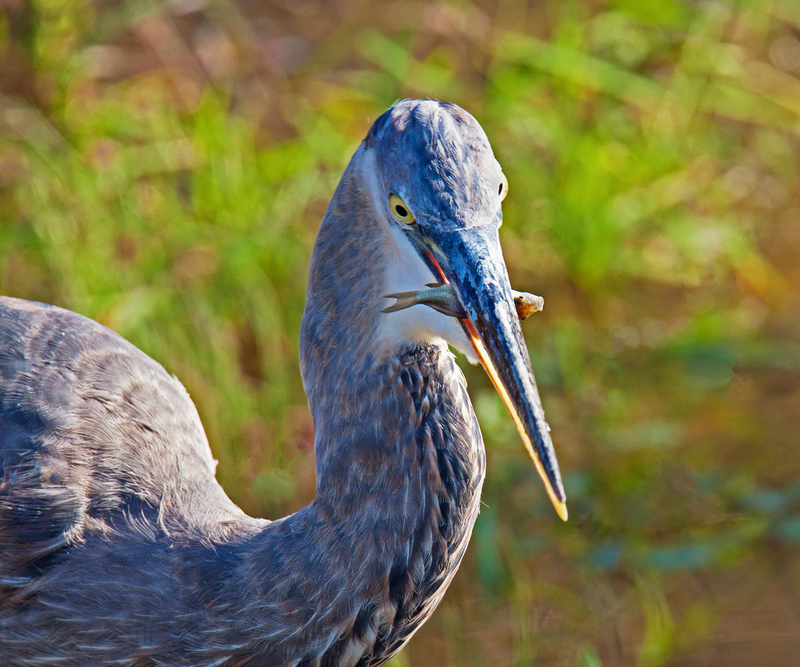 I backed off and let the heron enjoy his fish appetizer in peace. It was gone in a quick gulp and the heron went back to work and I moved on in search of more subjects. I grew up in the suburbs and don’t know much about domestic fowl, but it seems to me that this colorful bird must be some kind of funky chicken. 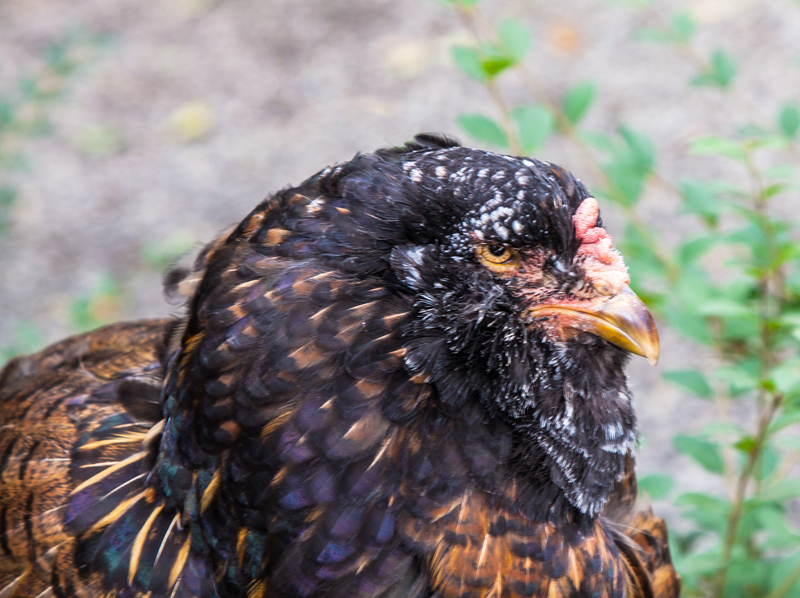 I love the colors and the patterns in the feathers of this chicken. 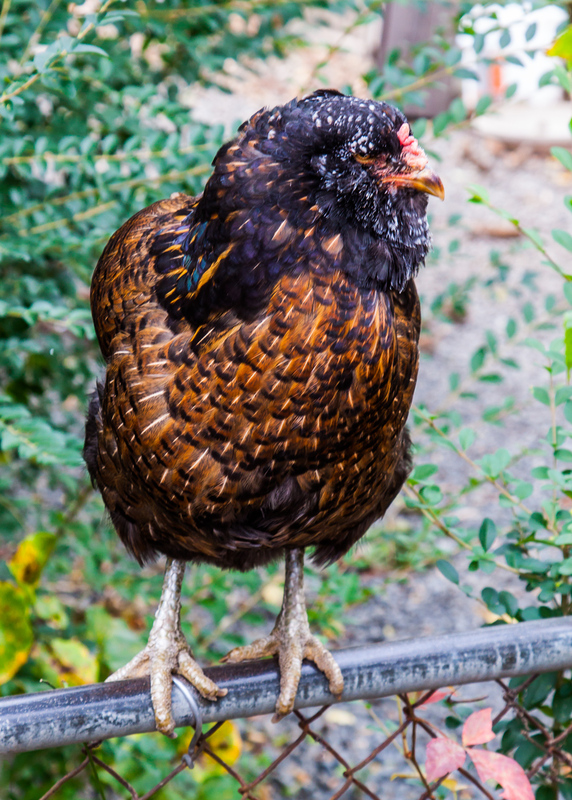 I spotted this chicken during a visit to Nalls Produce Center, a wonderful location in our area to see all kinds of colorful produce and plant. 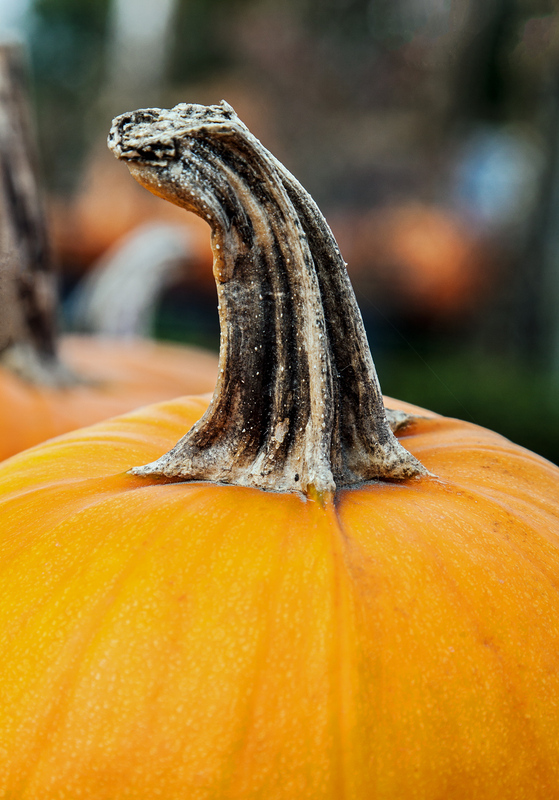 While there, I also took some shots of pumpkins that I will probably feature in a posting later this week. 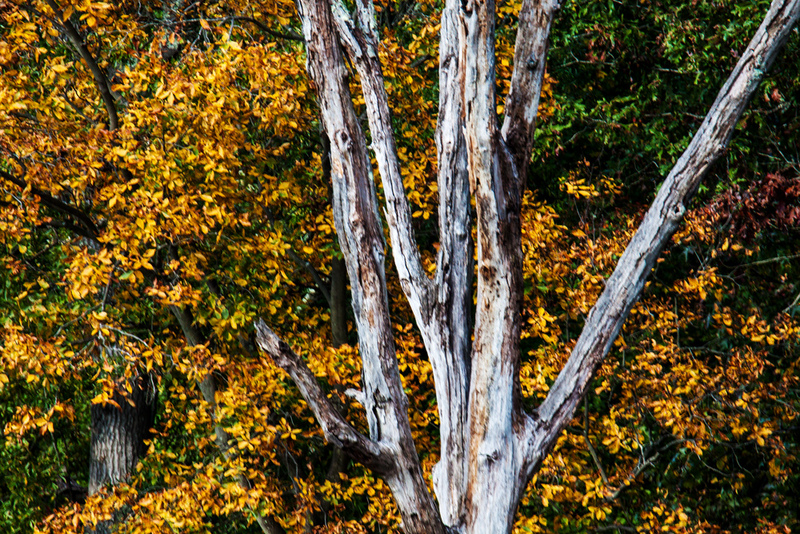 How do you capture the beauty of autumn? If you live in a location where there are broad expanses of trees full of brightly colored leaves, it would be pretty easy, I think. 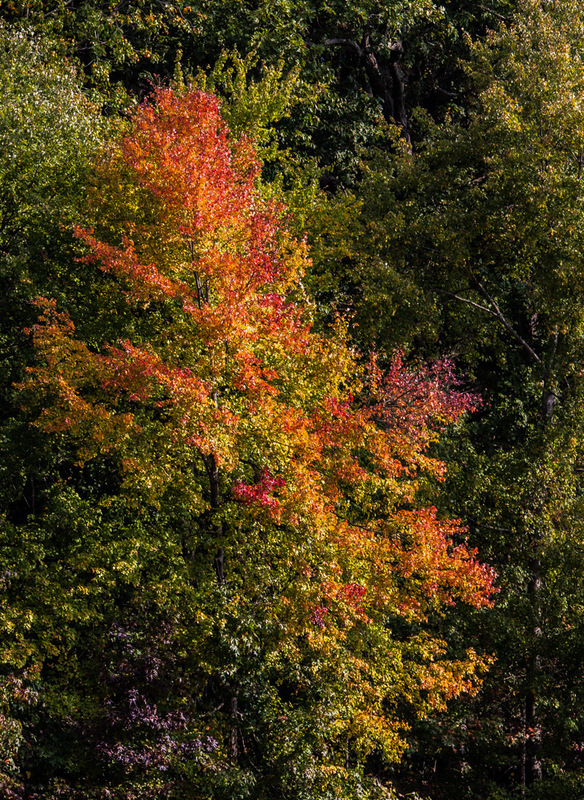 In Northern Virginia where I live, the colors tend to be muted and isolated. 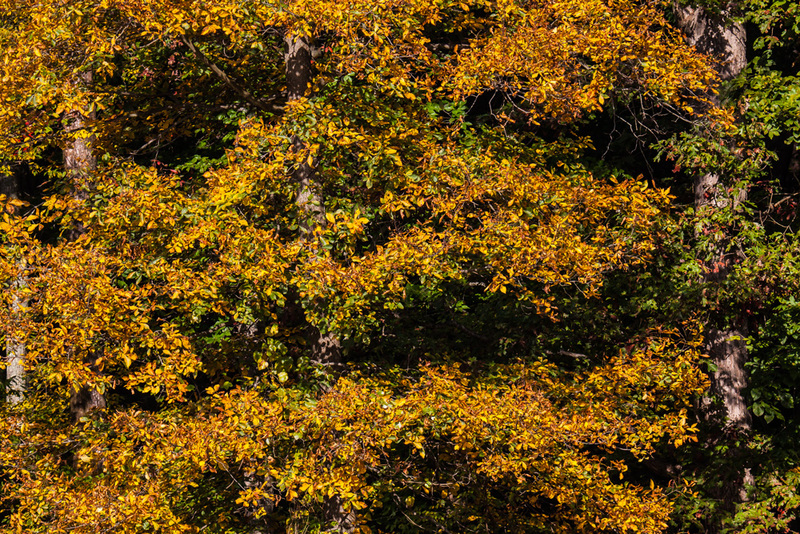 There are patches of colors here and there, but it seems like many of the leaves go straight from green to brown. 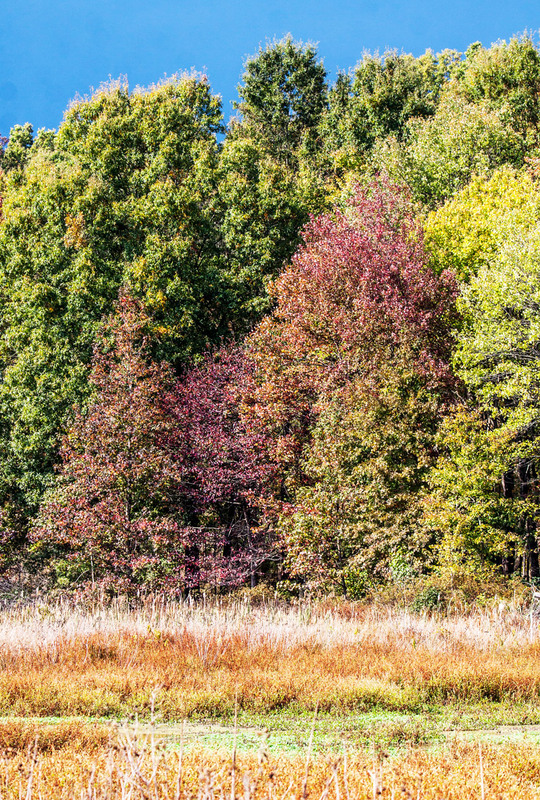 On some recent trips to Huntley Meadows Park, my favorite shooting location, I tried to capture some glimpses of the changing season using my telephoto zoom lens. 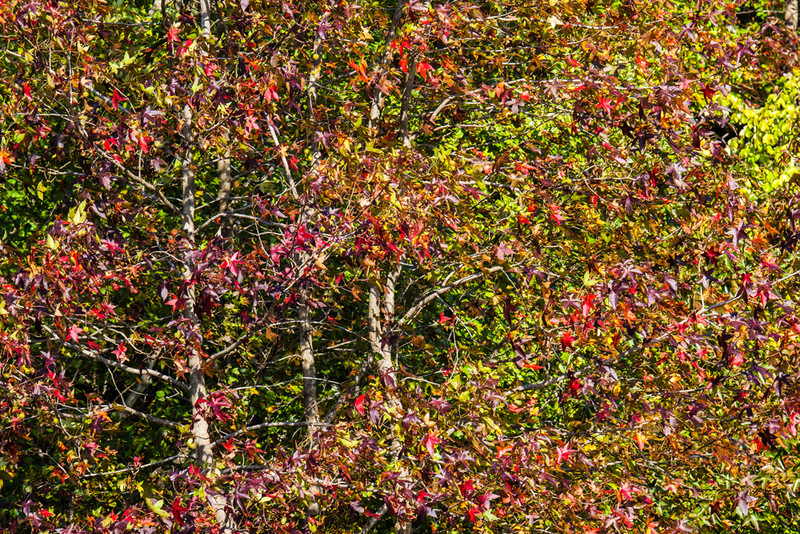 The colors and patterns of the fall foliage turned into abstract patterns when viewed through a telephoto lens. Here are some of my favorite shots as I focused in on the autumn foliage. 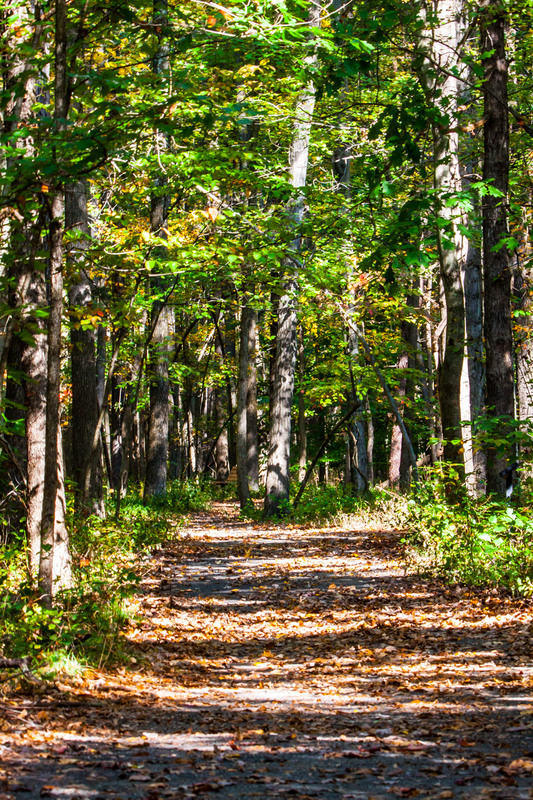 I am also including a final image that attempts to capture the feeling of walking down a trail in the crisp morning air with fallen leaves crunching underfoot.